The average electronic cigarette is significantly cheaper than tobacco cigarettes. Even the more expensive e-cigs work out cheaper. Since one typical Cartridge is formulated to provide as many puffs roughly as a regular pack of cigarettes, purchasing say a weeks supply of cartridges would typically cost under GBP10.00. ie. under GBP2.00 per pack of 20 normal cigarettes. The last time that national average hit GBP2.00 was in the 1980’s or earlier. With the best electronic cigarettes you will reduce your total cigarette expenditures by well over 50%. So don’t burn your money on old-fashioned cigarettes or cheap e-cigs; over the course of a year, you can save thousands of pounds! With electronic cigarettes you are not only helping yourself, but also the environment. Electronic cigs are smoke free, ash free and create no fire risk. A single Flavour Cartridge is equivalent to the puffs you get from around 20 cigarettes (depending on the depth of your puffing style), with non of the waste that standard cigarettes leave behind. Tobacco cigarettes place a major burden on the environment including the accumulation of cigarette butts everywhere. You can enjoy e-cigs guilt free, and rest assured you are protecting the environment. With no offensive odours, you no longer need to worry about offending your non-smoking friends. No longer will you need to step outside in cold weather or struggle through non-smoking events. You can smoke virtually anywhere, even in most ‘No Smoking’ areas like bars, restaurants, offices, and airports. They won’t leave your home and car smelling like an ashtray. If you are a smoker, you may feel you owe it to yourself and those you care about to at least try an electronic cigarette. Our electronic cigarette reviews will help you choose the best electronic cigarette for you. But make sure you do get the best e-cigarette. With BAT now owning the Vype Electronic cigarette brand, perhaps it is no longer a case of e cigs V tobacco!! ASH recognises that whilst efforts to help people stop smoking should remain a priority, many smokers either do not wish to stop quit or find it very hard to do so because of their addiction to nicotine. For this group, nicotine containing products which have been properly regulated to ensure product safety, quality and efficacy should be available as an alternative to tobacco. Most of the diseases associated with smoking are caused by inhaling smoke which contains thousands of toxic chemicals. By contrast, nicotine is relatively safe. Electronic cigarettes, which deliver nicotine without the harmful toxins found in tobacco smoke, are a safer alternative to smoking. In addition, electronic cigarettes reduce second-hand smoke exposure in places where smoking is allowed since they do not produce smoke. Nonetheless, nicotine is an addictive substance, electronic cigarettes currently available are highly variable in terms of delivery of nicotine and product quality, and smokers are uncertain about the effectiveness of the product. There are concerns, as yet unsupported by evidence, that these products may provide a gateway into smoking for children and young people. The regulation of these products, in particular with respect to their advertising, promotion and sponsorship needs to be undertaken with these factors in mind. In the UK smoke-free legislation exists to protect the public from the demonstrable harms of second-hand smoke. 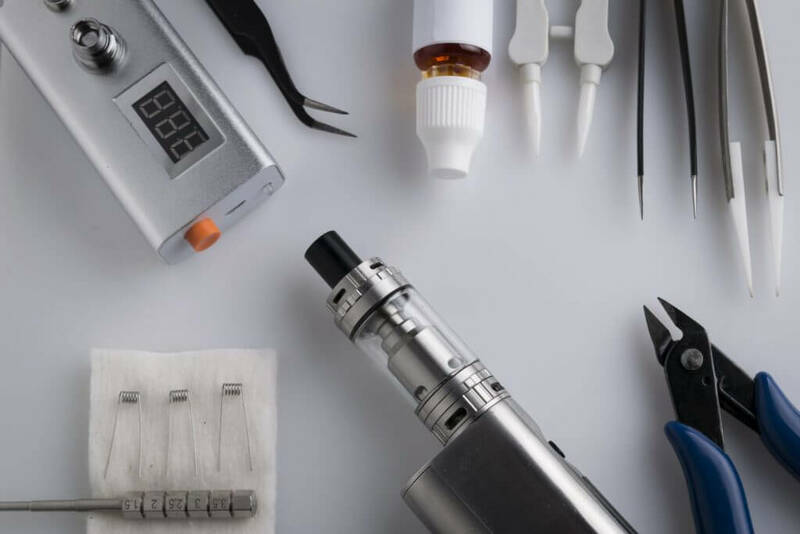 ASH does not consider it appropriate for electronic cigarettes to be subject to this legislation, but that it should be for organisations to determine on a voluntary basis how these products should be used on their premises.